Sept. 15, 1993, was the birthday of Father Puglisi, parish priest of San Gaetano in the Brancaccio district of Palermo, Sicily. He spent that Sunday like so many others until that evening, when, under the door of his residence, he found himself face to face with the most ruthless murderer of Brancaccio. Salvatore Grigoli had committed up to that time 45 murders, including dissolving a child in an acid bath. He was there to kill Father Puglisi, shooting him in the back of his head with a pistol. The murder was ordered by the mafia boss Leoluca Bagarella, who also rebuked Brancaccio’s mafia bosses for having waited too long to kill the priest. 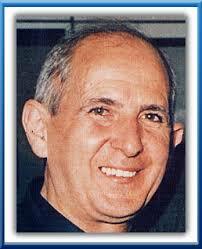 Father Puglisi was beatified as a martyr in Palermo on May 25, 2013, two months after the election of Pope Francis. Now Francis is preparing to go to the Sicilian city on Sept. 15 to visit Puglisi’s residence and parish church on the 25th anniversary of his martyrdom.